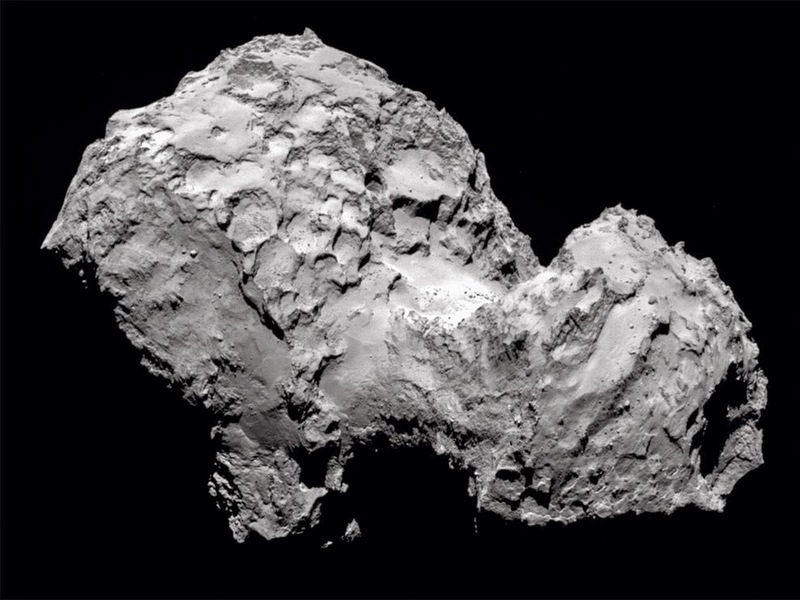 Yesterday, the European Space Agency succeeded in in unprecedented decades-long mission to land a spacecraft on a comet. It took 10 years for the rocket to reach Comet 67P/Churyumov-Gerasimenko, which is 4 billion miles (6.4 billion km) away, only 4.1 miles (6.7 km) wide, and is hurtling around the sun at speeds of up to 84,000 miles (135,000 km) per hour. After a bit of a glitchy landing, the probe is already sending back novel information about the universe. While the world applauds, the comet sings (LISTEN HERE).